Explanation: Galaxies like colorful pieces of candy fill the Hubble Ultra Deep Field 2014. The dimmest galaxies are more than 10 billion times fainter than stars visible to the unaided eye and represent the Universe in the extreme past, a few 100 million years after the Big Bang. 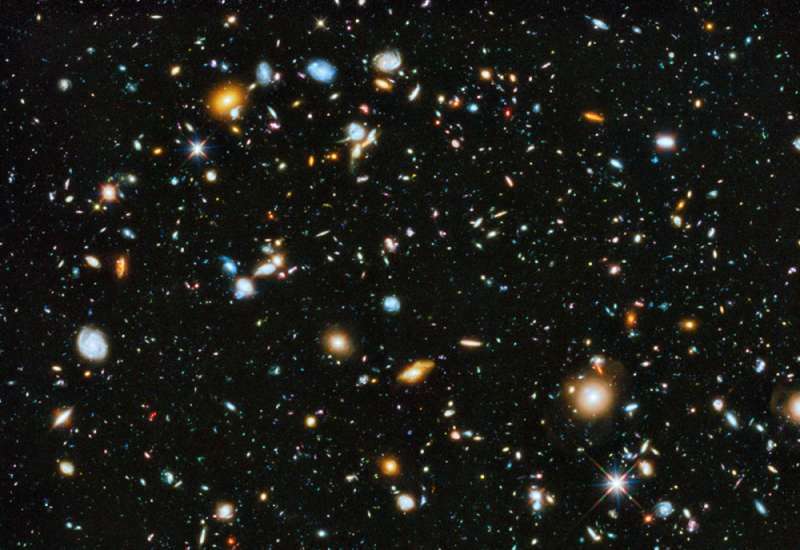 The image itself was made with the significant addition of ultraviolet data to the Hubble Ultra Deep Field, an update of Hubble's famous most distant gaze toward the southern constellation of Fornax. It now covers the entire range of wavelengths available to Hubble's cameras, from ultraviolet through visible to near-infrared. Ultraviolet data adds the crucial capability of studying star formation in the Hubble Ultra Deep Field galaxies between 5 and 10 billion light-years distant.